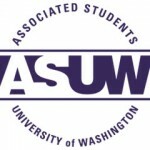 The Associated Students of the University of Washington (ASUW) is the undergraduate student government for UW Seattle students. The purpose of the ASUW is to benefit students by providing services for students, advocating student concerns and providing employment and volunteer opportunities for students. Some of the services provided by the ASUW include Arts & Entertainment and Bike Shop. ASUW also provides funding each year for allocation to registered student organizations (RSOs) for their event programming needs. In addition to services and event funding, the ASUW advocates on students’ behalf by sitting on University and faculty committees, lobbying state and national lawmakers, and working closely with faculty, administration and community leaders.